For more information about our products and services give us a call. Advanced Building Science is proud to be Virginia's first Icynene Insulation Dealer. 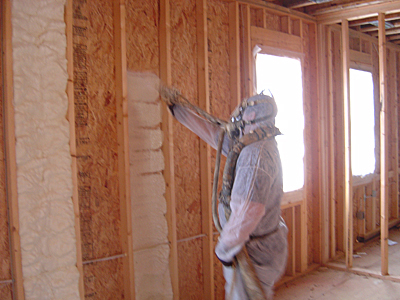 As a leader in bringing innovative products and methods to the area, Advanced Building Science was the first Icynene Insulation Dealer to design and install Spray Foam Insulation based on performance code rather than prescriptive code. This means that foam insulation does not have to be installed based on traditional R-value methods which results in lower installation costs. Let us help you design your thermal envelope to be energy efficient while taking into account all parts of the structure that affect energy performance. This means you can rest assured as our designs have been repeatedly tested and proven over the past 10 years. Going green has never been easier. We all can agree that spray foam insulation is here to stay as the demand for Green Building Products steadily increases. Copyright © 2012 Advanced Building Science, Inc. All rights reserved.